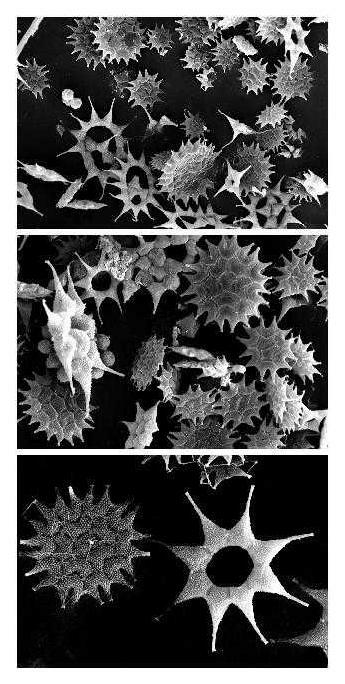 Green algae of the genus Pediastrum aggregate within a vesicle that is released by the mother cell. Starting from a random, flagella-driven, motion 4, 8, 16, 32, 64 or 128 cells arrange into a (usually) symmetric planar colony. (Note: if initial conditions are unfavourable, the aggregation time is not sufficient to yield a symmetrical arrangement). 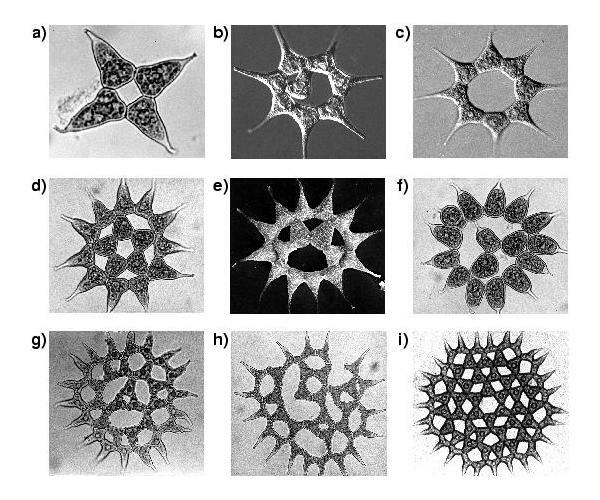 After aggregation, long bristles grow out of the outer cells, so that the colony is mainly horizontally oriented in the water and optimal exposure to light is achieved; this orientation is robust to water currents. 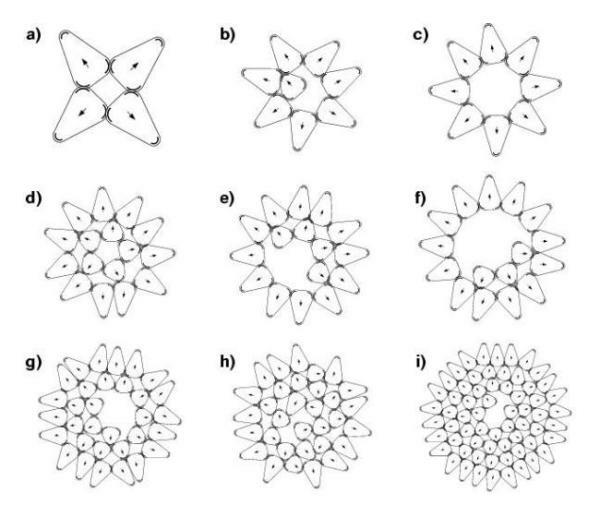 We simulated the aggregation process in a model that includes attractive and repulsive forces, flagellar propulsion, and cell-shape reformation.